Davy and I talked recently about where milk came from. He was excited to learn that milk actually comes from a cow! 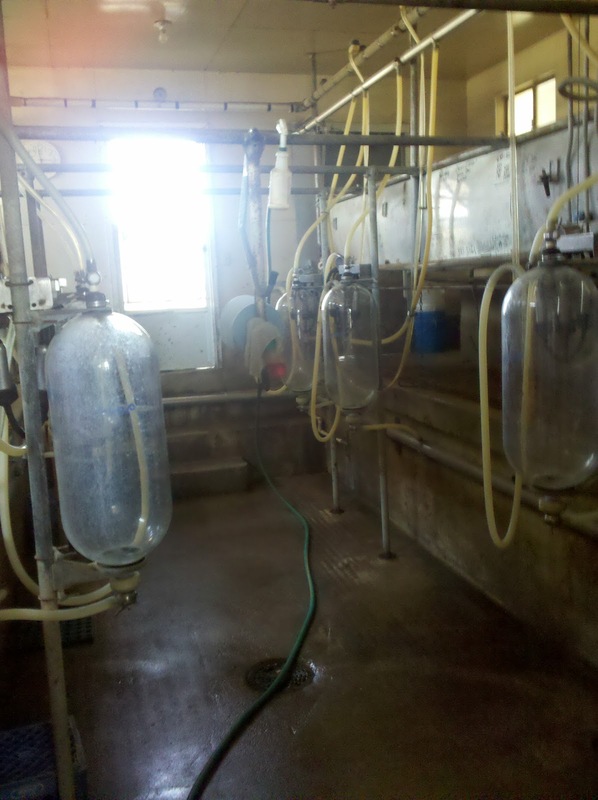 So we decided to take a trip to the dairy where our raw milk came from, just to see the facility. It worked out perfectly that we were already out of milk from our co-op delivery, so I picked up a couple more gallons. After a leisurely drive to Bridgeport (it took about an hour from our house), we drove down a nice country road, over a cattle guard, and onto a country gravel road. The farm was relatively deserted at 1pm on a Saturday, except for a couple of calves, some kids, and a dog or two. We pet the sweet calves, glanced in the milk room, and learned that it’s best to come at 4pm so we can watch the actual milking. We’re planning a return trip at milking time! 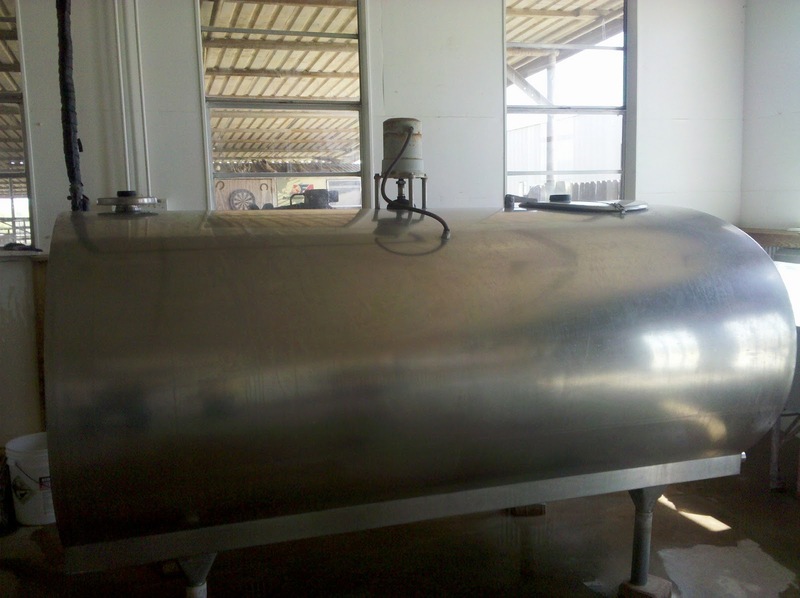 I took a couple of pictures of the milking room and their big container for milk storage. I’ll post more pics when we go back (and I use a real camera, as opposed to the one on my phone).